Dubai offers an experience like never before. Time and again, Dubai has managed to surprise its audience with its ultra-modern attractions that keep adding to its list of marvels each year. Dubai stands to be a real inspiration for its incredible journey from a small desert emirate. Dubai has made rapid paces in a very short span of time, and it doesn’t look like it is going to slow down either. Here are some of the mind-blogging attractions that you should not miss out during your Dubai holiday in 2018. A lush green garden transforms into a magical land of glitz and glamorous lighthouse post sunset. 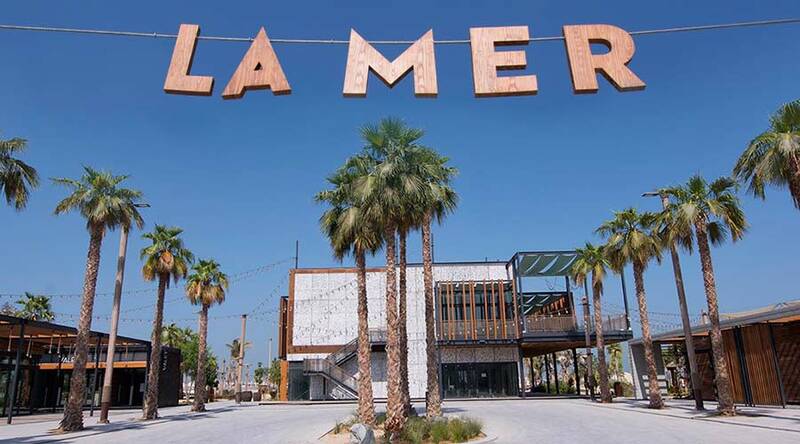 One of the excellent additions to the growing list of attractions in Dubai. 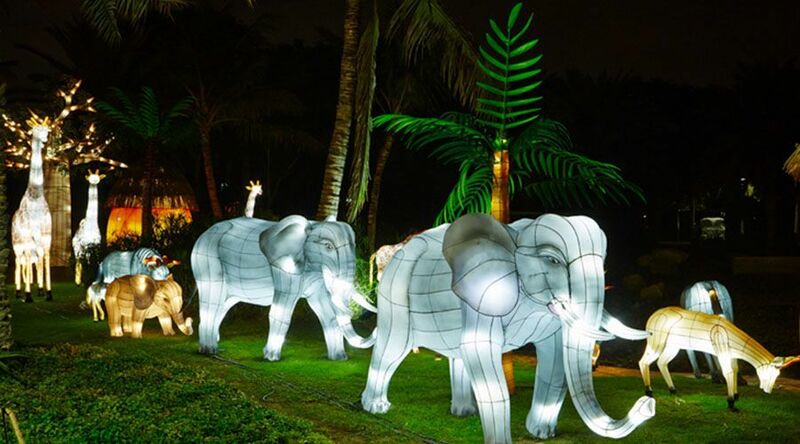 Positioned in Zabeel Park, the Dubai Garden Glow is a delight for all age groups including kids and adults. After opening successfully two seasons in 2015, the third season would focus on the underwater world and is launching in April 2018. The various hues of vibrant and bright neon lights in different sizes and structures will surely catch the attention of the travelers. There are unique kids themed parks, i.e., Ice Park and Dinosaur Park that is quite a hit among the younger ones. 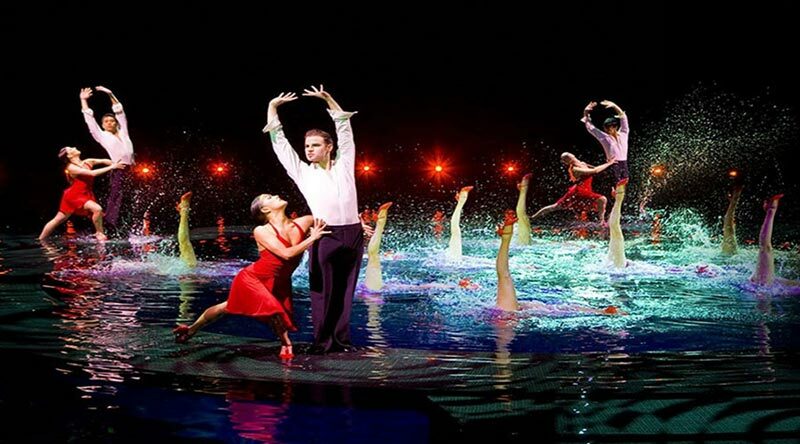 Inspired by the Le Rave in Las Vegas and the House of Dancing Water in Macau, the La Perle is an acrobatic entertainment show for the travelers and guests in Dubai. Placed in an aqua theatre in Al Habtoor City, the show features a beautiful fusion of modern state-of-the-art technology combined with art. The show is expected to transform the concept of storytelling with captivating characters indulging in marvelous aerial and aquatic stunts defining gravity. Franco Dragone, the creator of the two stunning shows in the world has added the magical blend of modern dance, music, and colorful lights to Dubai. The organizers expect to awe-struck the crowd with some thrilling and exciting live action for the next decade or so. A favorite theme park that probably doesn’t require a formal introduction. Spread across three continents; Europe, America, and Asia, Legoland is looking to spread its wings and enter the land of Dubai. The theme park would be positioned in the neighborhood of the famous Dubai Parks and Resorts. There would be a theme park named Legoland Dubai and a water park called Legoland Water Park. The visitors can enjoy an array of exciting themed rides, live entertainment plays & shows, along with interactive attractions. What more, the water babies can splash water all around with a plethora of water slides, rides, and pools. 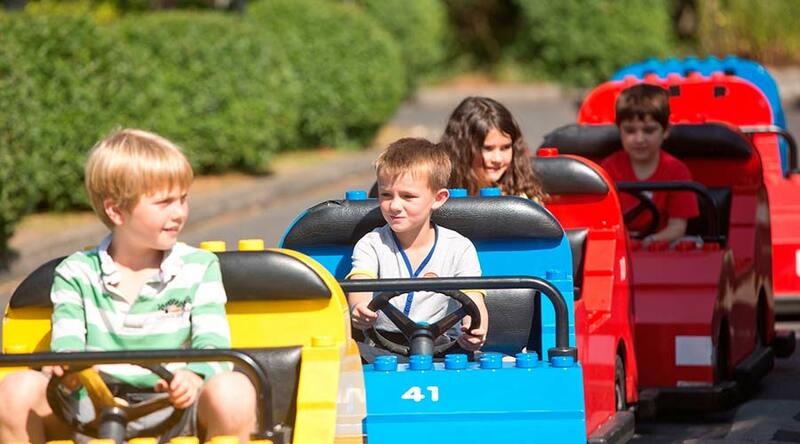 No matter what your age and is, Legoland offers the perfect day out to match all tastes. The sizeable nine-lane bridge connecting Dubai and Sharjah would have an incredible capacity to accommodate 17,700 cars per hour. It is expected to be launched to the public in August 2018; the authorities plan to divert traffic from heavily congested routes like the Shaikh Mohammad Bin Zayed Road and Al Ittihad Road. One of the modern attractions in Dubai that should not be missed. A drive along this bridge would be heaven. One of the latest world-class attractions to the list of monumental feats of Dubai, the Dubai Safari is the first wildlife park in the UAE. The wild animals would be spread across 119 hectares of land in their natural open environment. 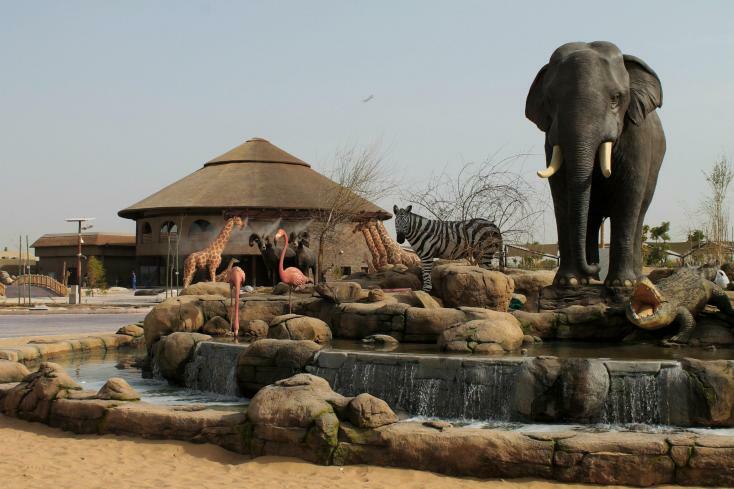 There would be four geographical zones in the park namely Arabian, African, Asian, and Open Safari Village. There would be guided drives in the open exhibits and would also feature a Wadi area, and a kid’s farm in the park. The audience is eagerly awaiting its launch in early 2018. Positioned at Jumeirah 1 for the ultimate beachfront experience coupled with shopping, fine dining, and entertainment options. Wide-spread over 13 million square feet of reclaimed and existing land, one can expect action-packed adventures and leisure experiences. You can enjoy a host of incredible experiences like beachfront dining, water sports activities, state of the art restaurants, walking trails, modern cafes, and shopping boutiques. One of the best ways to explore the opulent nature of Dubai. There would be a two-phase launch, with the first start expected in early 2018. This traditional Arabian souk would be launching near the Deira Mall amidst much-awaited anticipation by the end of 2018. This souk would feature close to 5,300 retail outlets and expected to cover a ground of 1.9 kilometers. It would house approximately 96 cafes and restaurants, fantastic waterfront vistas, and plenty of entertainment zones, a complete family destination. Designed in 2009 at Zabeel Park and already won a prestigious architecture award offering a 360 view of Dubai through its 93-meter glass bridge connecting the reminiscent past and new present with its visually appealing display. This golden rectangular shaped attraction resembles a picture frame and is standing 150 meters high. The estimated cost of construction was Dh160 million. This man-made island is positioned 300 meters off the opulent Jumeirah Beach Residence (JBR) coastline that focuses on connecting residents and visitors, rather than offering isolation. This island would feature residential buildings, penthouses, apartments, beach hotels, townhouses, and around 200 retail outlets and restaurants. This gigantic Ferris Wheel is going to be one of the iconic destinations in this Emirate and on records the largest one in the world. This wheel would offer a spectacular 360 view of the city and its coastline. Standing tall at 210 meters and set on the Bluewater Island, you should not miss out on this attraction during your tour to Dubai. An indoor arena is full of thrill and excitement that would probably cross the world of imagination. Spread over 1 million square feet at Sheikh Mohammed Bin Zayed Road, this is expected to be the world’s largest indoor theme park. There would be four zones in the theme park based on Marvel, Cartoon Network, Dinosaurs, and a Boulevard stuffed with shopping and dining options along with a 12-screen multiplex cinema space. There are dedicated allotted kids play areas for them to enjoy their space and time. Some of the popular areas to explore are Hulk Epsilon Based 3D, Avenegers Flight of the Quinjets, the Haunted House, Predator, and the Velociraptor. Dubai keeps updating its bucket list of incredible attractions each year and doesn’t look to slow down shortly. These attractions have played a vital role in transforming the face of Dubai in the world map. Places to Visit in Dubai with Family Dubai, one of the seven Emirate cities of UAE, is truly a wonder city.